The Marine Accident Investigation Branch (MAIB) report into the loss of the yacht Cheeki Rafiki and its four crew in the Atlantic Ocean, approximately 720 miles east–south-east of Nova Scotia, Canada on 16 May 2014. At approximately 0405 on 16 May an alert transmitted by the personal locator beacon (PLB) of Cheeki Rafiki’s skipper triggered a major search for the yacht involving United States Coast Guard fixed-wing aircraft and surface vessels. 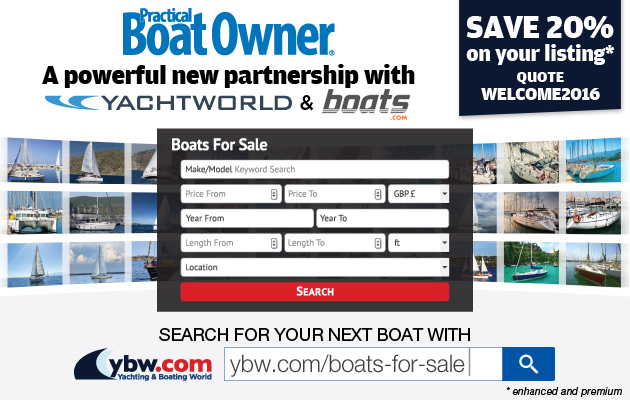 The yacht’s operator, Stormforce Coaching Ltd, has made changes to its internal policies and has taken a number of actions aimed at preventing a recurrence. The Maritime and Coastguard Agency (MCA) has undertaken to work with the Royal Yachting Association (RYA) to clarify the requirements for the stowage of inflatable liferafts on coded vessels, and the RYA has drafted enhancements to its Sea Survival Handbook relating to the possibility of a keel failure. A recommendation has also been made to the MCA to provide more explicit guidance about circumstances under which commercial certification for small vessels is required, and when it is not. MAIB chief inspector Steve Clinch said: ‘This has been a challenging investigation. Cheeki Rafiki capsized and inverted, almost certainly as a consequence of its keel becoming detached in adverse weather, in a remote part of the North Atlantic Ocean. ‘Despite two extensive searches, its four crew remain missing and, as the yacht’s hull was not recovered, the causes of this tragic accident will inevitably remain a matter of some speculation. ‘Nevertheless, a thorough investigation has been conducted, that has identified a number of important safety issues, which if addressed, should reduce the likelihood of a similar accident in the future. 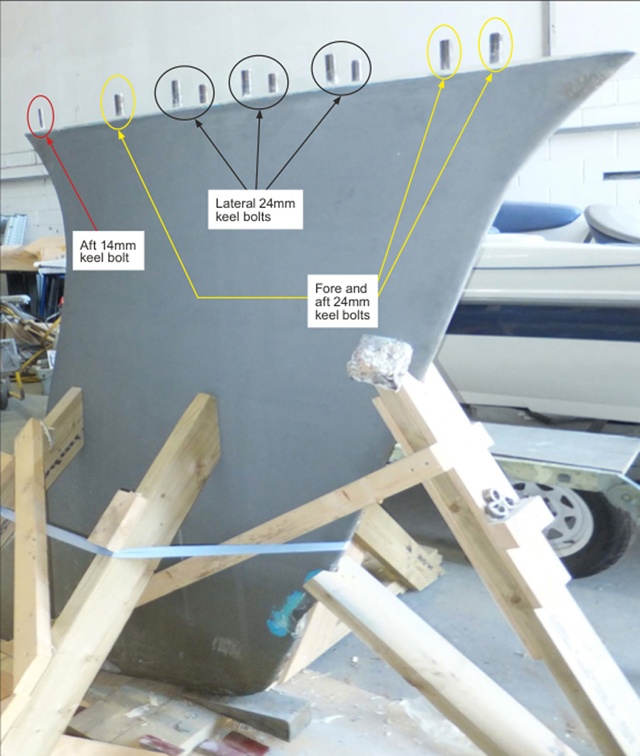 ‘The investigation has identified that in GRP yachts that are constructed by bonding an internal matrix of stiffeners into the hull, it is possible for the bonding to fail, thereby weakening the structure. ‘In some yachts, including the Beneteau First 40.7, the design makes it harder to detect when the bonding is starting to fail. The report therefore highlights the need for regular inspections of such yachts’ structures by a competent person, and for the marine industry to agree on the most appropriate means of repair when matrix detachment has occurred. ‘During the investigation it became clear that opinions were divided as to whether or not Cheeki Rafiki’s return passage across the Atlantic Ocean was a commercial activity. ‘I have therefore made a recommendation to the Maritime and Coastguard Agency to improve the guidance on when small vessels are, or are not required to have commercial certification. This should help resolve what has, for too long, been a grey area. Finally, I hope that this report will serve as a reminder to all yacht operators, skippers and crews of the particular dangers associated with conducting ocean passages, and the need for comprehensive planning and preparation before undertaking such ventures. 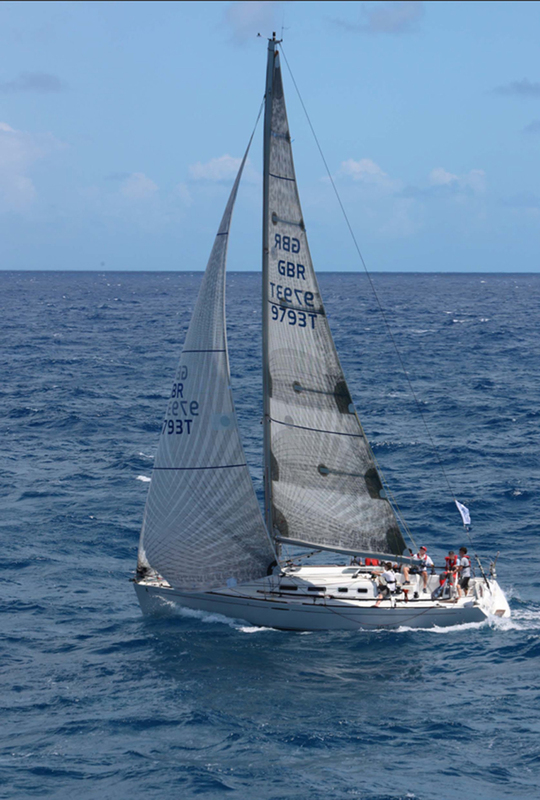 Cheeki Rafiki had been sailing back to its base port of Southampton, following the completion of Antigua Sailing Week, held from 27 April to 2 May 2014. No further data connections were made on board Cheeki Rafiki and so no further emails were received by the vessel. 2221 – 55 seconds’ duration satellite telephone voice call from Cheeki Rafiki’s skipper to Stormforce Coaching’s principal/director and 2 minutes 46 seconds’ duration return call on a different mobile telephone owing to low battery power. The skipper described the situation (ie water ingress) as worse than before and that the water had been identified as sea water, the engine bilge had been found to be dry and that the leak could not be found. 2022 position was also given. you are within their SAR region. They have you sat phone number, email etc. In terms of the leak you need to focus on 3 things. Finding the leak, reducing the rate of ingress and getting rid of water on board. Worth having a look at the keel bolts and make sure there is no cracking around them. I would like to set up a 4 hour comms interval. Where you call me every 4 hours and confirm all OK or otherwise. I will leave you to make the first call to my mobile tonight on…After that will go for 4 hour intervals until you tell me problem is solved. I have my mobile with me and will keep it free…. Needless to say make sure everyone is wearing a LJ at all time, make sure the life raft and grab bag/water are ready and make sure if things get worse the EPIRB and sat phone are to hand and the sat phone is charged. You are currently in a USA Search and Rescue area but out of range of aircraft. If you had to abandon then merchant vessels would be requested to divert to you. Stormforce Coaching’s principal/director had difficulty understanding what Cheeki Rafiki’s skipper was saying, but he understood the skipper to be saying, “this is getting worse”. The principal/director told the skipper to check his emails, which he acknowledged. Cheeki Rafiki‘s approximate position at this time was 38o 37.0N 048o 06.7W. Thereafter, the satellite telephone was no longer connected to the satellite and no further signal was received from it. At 0633, following an initial alert at 0629, a second PLB alert with positional data was received by RCC Boston. The alert was from the mate’s PLB and was received about 8 minutes before the final satellite-detected position received from the skipper’s PLB. The mate’s PLB position resolved at 0713 as approximately 0.5 mile from the last satellite-detected position received from the skipper’s PLB. At 1100, the HC-130 aircraft arrived on scene and commenced a search based on three drift calculations for: a swamped 39 foot (11.9m) sailing vessel, a liferaft and a person in the water. During the search, the aircraft’s crew identified some small debris, including what was possibly a small white lifebuoy, a boat fender, pieces of shiny white wood and other miscellaneous items. The search effort continued utilising HC-130 aircraft from the USCG, the US Air Force, and the Royal Canadian Air Force, and three merchant vessels. It initially concentrated around the PLB alert locations. At 0940 on 18 May 2014, the search effort was terminated. RCC Boston calculated the estimated survivability of the crew members based on their average descriptions, assuming that they were dressed in full foul weather sailing gear, immersed to the neck in water and wearing a personal flotation device (PFD). Using these criteria, the estimated functional survivability and survival times were 12.3 hours and 15.5 hours respectively. 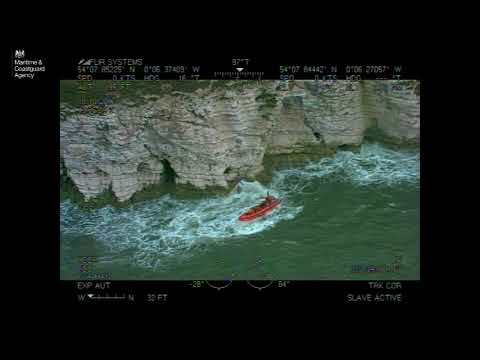 At 1135 on 20 May 2014, the search effort resumed following a formal request from the UK government. The second effort was again co-ordinated by RCC Boston, and the first search and rescue (SAR) assets began to arrive later that day. During this period, aircraft from the USCG, US Air Force, Royal Canadian Air Force and UK Royal Air Force, nine merchant vessels, United States Coast Guard Cutter (USCGC) Vigorous, United States Ship (USS) Oscar Austin and numerous additional yachts took part in the search. 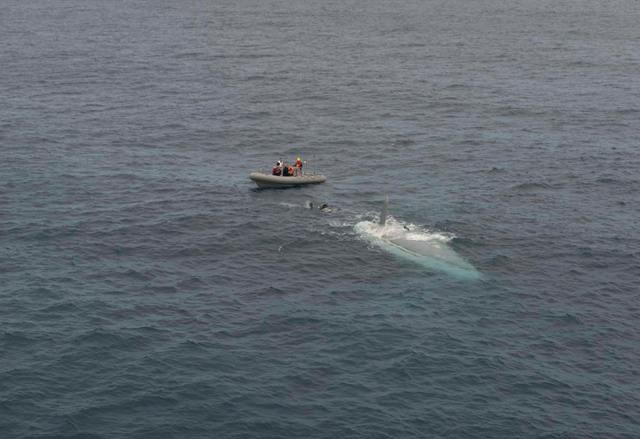 At 1553 on 23 May 2014, USS Oscar Austin’s embarked helicopter located an upturned yacht’s hull. The vessel launched a small boat with a surface swimmer, who positively identified the hull as being that of Cheeki Rafiki and confirmed that its liferaft was still on board in its usual stowage position. At 0200 on 24 May 2014, the SAR effort was terminated. During the course of the investigation, the MAIB received much anecdotal evidence regarding matrix detachments on Beneteau First 40.7 yachts. Areas notable for detachment were in the forward sections of the matrix, commonly attributed to the vessel slamming, and the area around and aft of where the keel is attached to the hull, commonly attributed to the vessel grounding. MAIB inspectors visited four Beneteau First 40.7 yachts that had all suffered detachments of their matrix in bays around the aft end of the keel as a result of grounding. Additionally, two of these vessels had suffered, or were showing signs of, matrix detachment in the forward section. One further Beneteau First 40.7 yacht was visited, which showed signs of matrix detachment in the forward and aft sections. The skipper had with him a Kannard Safelink Solo PLB, which had been registered with the MCA in November 2013. The mate had with him a McMurdo Fastfind 220 PLB, which had been registered with the MCA in April 2014. Both PLBs were waterproof and were provided with a buoyancy pouch and lanyard to prevent their loss when in water. They were both fitted with an integral global positioning system (GPS) transmitter capable of transmitting for a minimum of 24 hours once activated. Both units were manually operated and had to be held clear of the water with their antenna vertical to be able to transmit an alert. Cheeki Rafiki tragedy: was structural failure to blame? The report concludes that it is difficult to readily identify areas where a matrix detachment has occurred in GRP yachts manufactured with a matrix bonded to the hull. This is especially the case where the keel is not removed prior to inspection and where floors have been layed up between frames. It is possible that some of Cheeki Rafiki’s reported ‘light’ groundings could have significantly affected the integrity of the matrix attachment in way of the keel. There is currently no industry-wide guidance on appropriate methods for identifying matrix detachment and conducting repairs, or on the circumstances that would necessitate keel removal. Matrix detachment had previously occurred in Cheeki Rafiki, probably in bays immediately either side of the bays where the keel was bolted to the hull. It is therefore possible that detachment had also occurred in way of the keel but had not been detected because of the clamping effect of the keel bolts. Had Cheeki Rafiki’s structure where the keel was attached to the hull been weakened as a consequence of previous groundings, this might have allowed movement of the keel due to transverse loading in the prevailing sea state, resulting in its becoming detached from the hull. 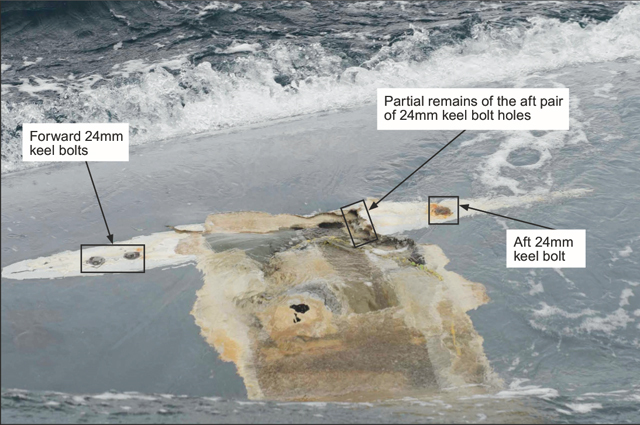 It is also possible that the keel bolts had deteriorated. It is probable that the increasing risk of Cheeki Rafiki’s keel becoming detached and the danger of continuing on the same approximate course without reducing speed had not been recognised. Given the remote location of Cheeki Rafiki at the time of its loss, the crew’s survival was largely dependent on being able to deploy to a liferaft in addition to activating an alert. In the event of a yacht capsizing and then inverting in circumstances in which survival is dependent on liferaft availability, it is vital that every effort is made to ensure that a liferaft remains readily accessible and capable of being deployed for use quickly and easily. It is possible for matrix detachment to occur in GRP yachts manufactured with a matrix bonded to the hull, resulting in loss of structural strength. The probability of this occurring will increase with more frequent and harder yacht usage. The practice of allowing a vessel to ground during training and examinations has the potential for candidates to underestimate the likely consequences of grounding. Although the conditions prevailing at the time of Cheeki Rafiki’s loss were theoretically within the design parameters of the yacht, it would have been prudent to have taken action to avoid the forecast high winds and rough seas. The Beneteau First 40.7 keel washer plates would have needed to be 3mm thicker and 3mm wider for the design, incorporating only one 14mm bolt, to fully meet ISO 12215-9, today’s harmonised ISO standard for keel design and attachment. new 190N lifejackets fitted with an integral spray hood. likely to venture more than 60 miles from a safe haven. The MAIB report found that Cheeki Rafiki’s Category 2 certification had been allowed to lapse, and so no authorised person had examined the vessel since its coding survey in 2011. It is possible that any indications of a potential structural problem might have been identified had the annual examinations required by the SCV Code been conducted by an authorised person. The report also states that had an additional person on board Cheeki Rafiki held an RYA/MCA Yachtmaster Ocean or Yachtmaster Offshore certificate of competence, the skipper would have had a suitably qualified and experienced person immediately available with whom he could have consulted on matters relating to the passage, weather and subsequent events. It is unknown why neither the skipper’s nor the mate’s PLB transmitted for its design minimum of 24 hours. However, in the wind and sea conditions following Cheeki Rafiki’s loss, manually operating a PLB and then holding it in the required position for a substantial period of time would have been difficult. Raise awareness of the potential consequences of running aground, and the need to carry out an inspection following any grounding incident, taking into account the danger of potential unseen damage, particularly where a GRP matrix and hull have been bonded together. Highlight the benefits of regular inspections of a vessel’s structure, the carriage of qualified persons on board, float-free lifesaving equipment, and the carriage of PLBs. The full report has been published on the MAIB’s website.